Getting caught in the dark is never a fun experience. Whether from a power outage or when camping, the Foldable Pocket Lamp can provide a wonderful source of illumination. This innovative Pocket Lamp is made with bright LED lights. The device is portable and cna fit comfortably in your pocket. Feel free to carry the Pocket Lamp with you wherever you go. It's compact design is made to fit in wallets, purses, pockets, and pretty much anywhere. It's the size of a standard credit card. 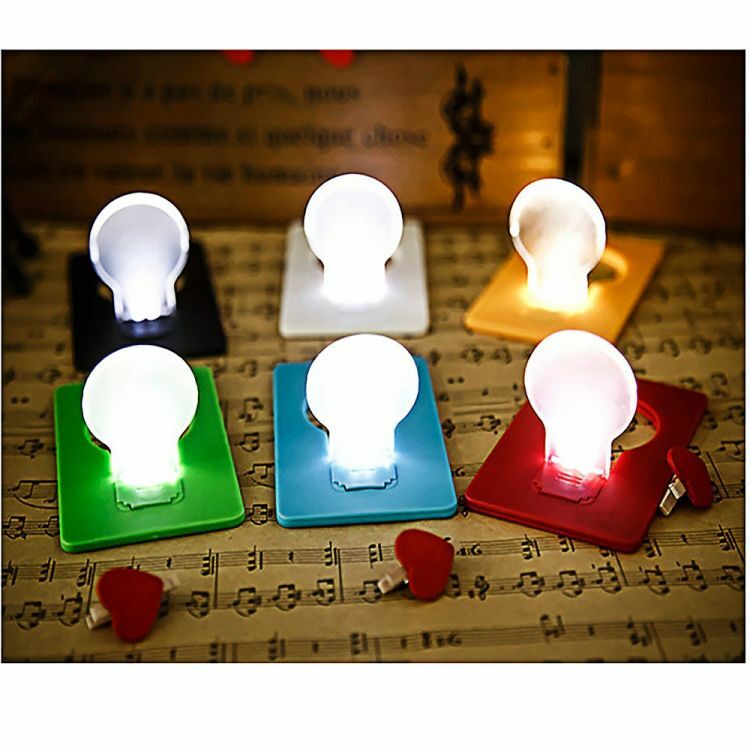 This amazing little light pops up to give you instant illumination. it is powered by a 3V battery that is included. it glows and glows and glows!